Fess remained locally popular as a working musician from the late 1940s to the early 1960s, rarely venturing out of town. He abandoned the music business in 1964 to work odd jobs and deal cards for a living. 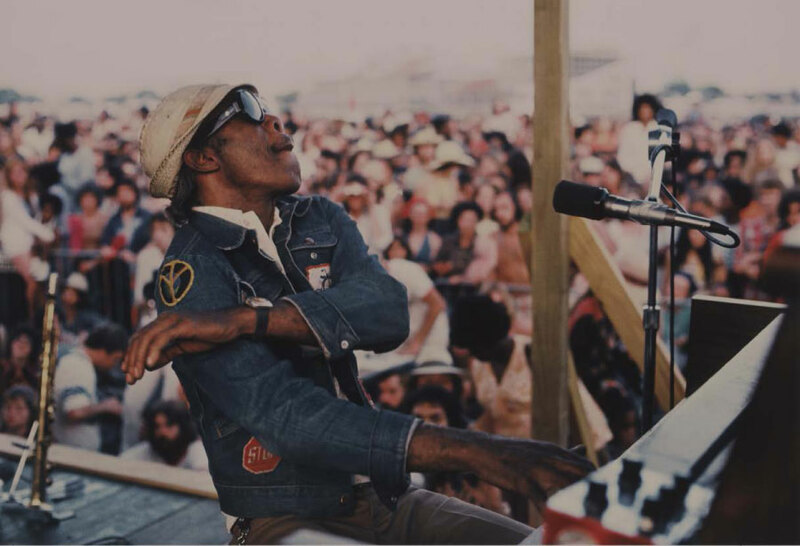 After languishing in obscurity, Professor Longhair was rediscovered and enlisted to play at the second New Orleans Jazz & Heritage Festival in 1971. His comeback included tours of Europe and albums for major labels as a new generation discovered his inimitable “mambo-rumba-boogie” style. All the while he remained the patron saint of Jazz Fest, closing out the final show each year until his death in 1980. Follow the path of Fess from his birth in 1918 in the lumber community of Bogalusa, Louisiana through his life in New Orleans, to his lasting influence on rhythm and blues, Carnival, the Mardi Gras Indians, and the entire essence of the Crescent City. Experience his lasting mark on the culture itself with interviews, artifacts and performances of his iconic, timeless anthems of Mardi Gras and New Orleans. Hear and see the tales of Fess learning his distinctive style from an old piano with missing keys, his fronting bands such as the Shuffling Hungarians and Blues Scholars, and his unique view of life. The music, the philosophies, the unique styles, the hair, the utter New Orleans-ness--all of it will hit you like the horn riffs of “Big Chief” when you come to the Professor Longhair exhibit “Me Got Fiyo: The Professor Longhair Centennial” at the New Orleans Jazz Museum, 400 Esplanade Avenue, (504) 568-6993.